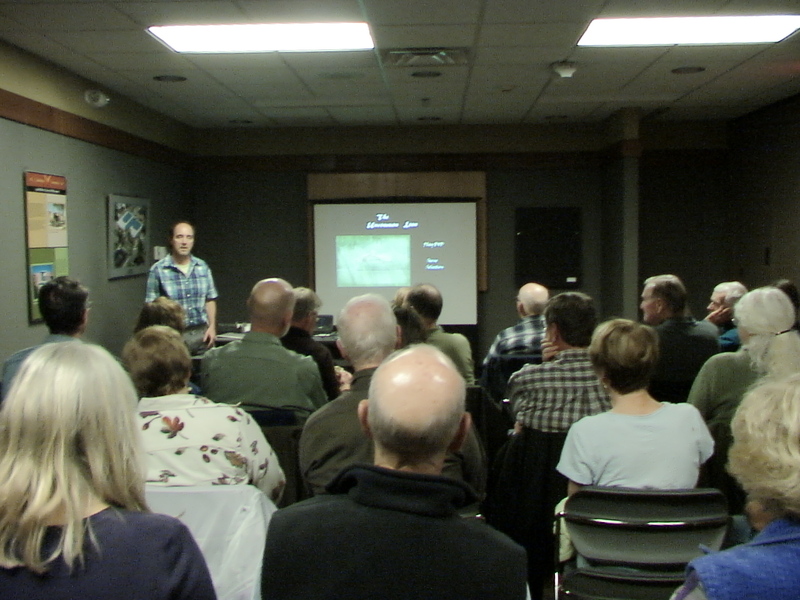 Last week I traveled to Grand Haven to show my film The Uncommon Loon to the Owashtanong Islands Audubon Society. The Public Library room was filled, and these people were great to talk to. Audience members donated generously to my Loon Buoy Fund and bought nearly all the dozen DVDs I’d brought. Great night. Also, events coordinator, John Mcaree, and I discussed placing loon nesting rafts on a lake or two in the Newago area, hopefully boosting the expansion of Michigan Loons’ southern nesting range. 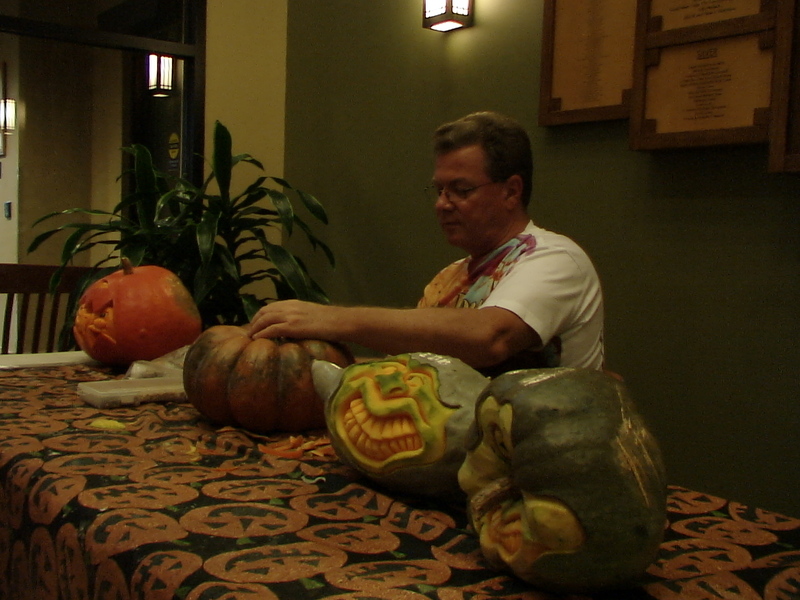 I arrived early, so to pass the time while the group wrapped up their board meeting, I attended the pumpkin carving demonstration by the Lord of the Gourd, in the hallway outside the room. 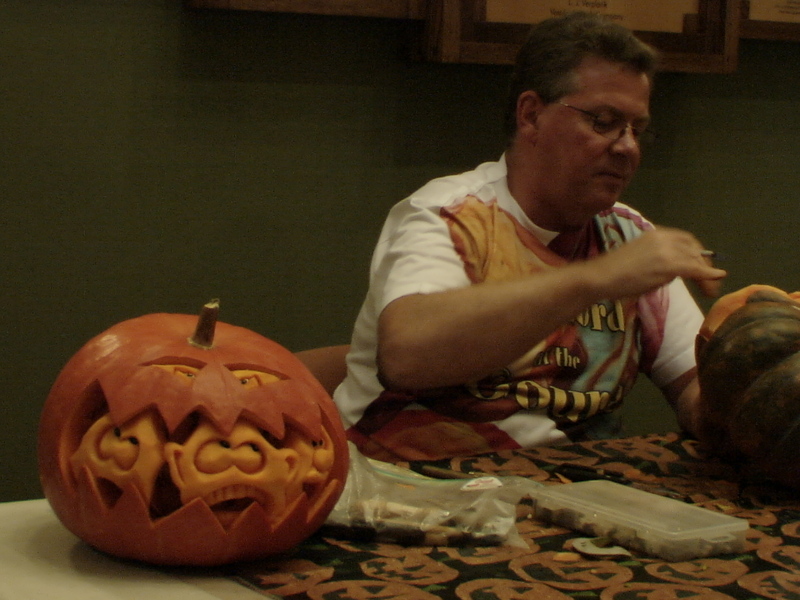 Amazing talent of Pat Harrison. Posted by Jeff Lange on November 2, 2015 in Public Appearances, Videos and tagged Grand Haven, Jeff Lange, Looncorps, Loutit Public Library, Owashtanong Oslands Audubon Society, The Uncommon Loon.